Hand #65: Chris Klodnicki raised to 800,000 on the button, Anthony Gregg three-bet to 2.2 million, and Klodnicki folded. Hand #66: Gregg had the button, and raised to 800,000. Klodnicki defended, the dealer spread , and Klodnicki checked. Gregg fired out 900,000, taking down the pot. Hand #67: Klodnicki raised to 800,000, Gregg called, and the flop fell . Gregg led out for 900,000, Klodnicki called, and the turn was the . 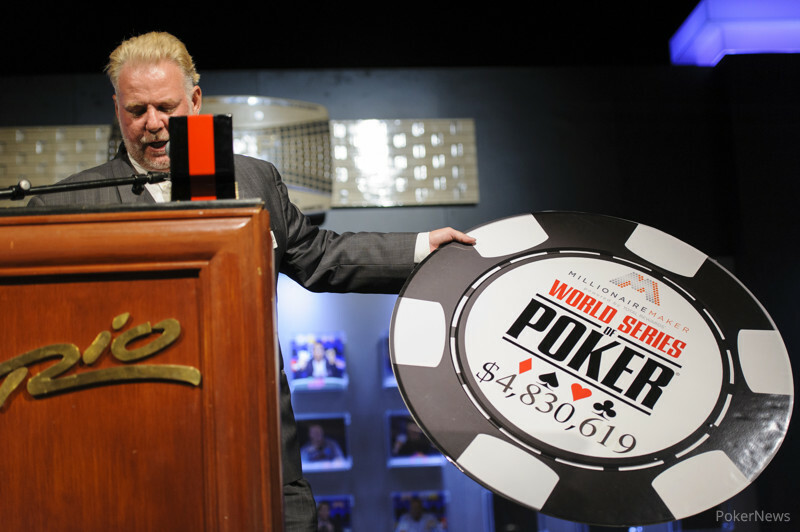 Gregg slowed down, opting to check, Klodnicki fired out two million, and Gregg folded. 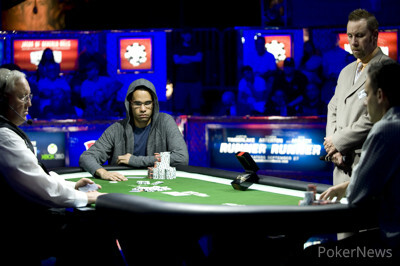 Hand #68: Gregg raised to 800,000, Klodnicki defended, and the flop came . Klodnicki checked, Gregg continued for 900,000, and Klodnicki called. The turn was a third spade - the - and Klodnicki knuckled again. Gregg fired out 2.4 million, Klodnicki called, and the completed the board. Klodnicki checked a third and final time, and Gregg slid out 5.9 million. Klodnicki called. Gregg tabled for aces and tens, winning a massive pot.